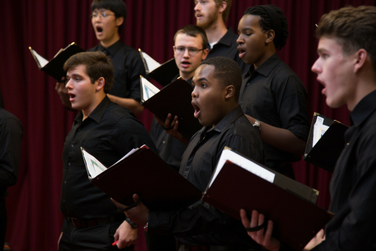 The internationally acclaimed University of Maryland Chamber Singers will offer a program of choral masterworks highlighting a cappella music from the late 19th, and early 20th centuries. The concert will include the virtuosic and rarely performed Friede auf Erden by Arnold Schönberg, Five Choral Songs, op. 104 by Johannes Brahms (his final choral compositions), and the set of Three Motets, op. 38 by Charles Villiers Stanford, which contains the well known and beloved "Beati Quorum Via." In addition, more intimate chamber music will be featured with performances by groups of singers formed from within the larger ensemble. The program will conclude with the charming arrangements of Old American Songs by Aaron Copland.